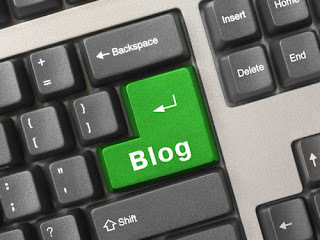 Since starting this blog nearly 5 years ago, I've learned a lot about microblogging, (Seth Godin style, for those in the know), lengthier blogging, scheduled blogging, serialized posts, spontaneous blogging, (kind of like grabbing chocolate cupcakes from the fridge at 2 am, if you're looking for the food equivalent), formats for blogging, such as lists, answering reader questions, using graphics in an interesting way, surprising your readers, linking to others as well as your own previous posts...that kind of thing. One of the most important lessons I have learned, is the importance of doing, rather than thinking about doing, when it comes to blogging and of course anything else, for that matter. I'm not saying you should write mediocre blog posts, but you don't have to write a manifesto everyday, either. There's a happy medium that will provide readable, effective content for your audience, while still giving them, and you, the chance to get other stuff done. Many social media experts out there write that if you're not spending hours laboring over a blog post, you're probably not blogging correctly, and your life/business will suffer. I would say that while blogging is important, it's not the only thing you do all day, and while it's an essential vehicle for establishing your brand and online presence, it should not get in the way of your business, but rather should enhance your activities. So, I'm a firm believer in "organic blogging." I believe I just made up this term, so if you find it somewhere, let me know. Your blogging should serve as a natural extension of your activities, passions, interests, and niche. But it should not take over your life, and unless you're looking to become the next million dollar blogger, there are easy ways to express yourself through your posts and create community with others, without having to exhaust yourself at the same time, particularly if you're not naturally a writer, or just plain not used to writing. 1. Review something related to your niche, such as a relevant book, movie, piece of equipment, clothing, whatever. We all have new things we try out from time to time, and if you're experimenting, why not share your results? 2. Highlight favorite links, blogs, web sites, of others. Blogging is as much about community as any other aspect of social media, so why not socialize a little? We all come across a great blogger or web site from time to time, so why not share it with your community. 3. Tell a great story. Much is being written right now about the importance of storytelling, both in the corporate and nonprofit world. Do you have a great story either about your own life, or a case study from working with a client, that would be helpful to share with others? 4. Write a list or compilation post like this one. It's been well established that readers love lists. They can easily bookmark them, share them with others, and get their own ideas for lists just by reading yours. Have you found 5 or 10 great tips that helped you do something better? Jot them down in a post. 5. Write a how-to or instructional post. With all the new technology appearing on the scene these days, it's hard to keep up. Help your readers by showing them how to do something, whether it be creating a new Facebook FAN page, a video, or even writing better copy. 6. Get inspired by photos and interesting graphics. When I was in 4th grade, my writing teacher always assigned us the task of writing stories based on New Yorker covers, and I was always amazed at the final product. Maybe it's your own cool photo you just uploaded of a beautiful forest in the afternoon sun, or a terrific photo on Flickr (make sure it's under "Creative Commons" so you have permission) that inspires you, but let the art take you where you need to go. 7. Share a mistake you made or a regret that you have. We all make mistakes. Sharing yours shows that you are human, and gives others a chance to identify with you. 8. Share Industry news or best practices. Whatever career specialty you have, you should be receiving news alerts or specialty publications that relate to it. Chances are, you get the inside scoop before anyone else. Share your news on posts, and heighten your credibility and expertise. 9. Be funny once in a while. There's nothing wrong with a little humor...in fact, there's a lot right with it. It's not easy to write a post that is genuinely funny, and if you pull it off, your readers will love it. If you're having trouble finding your voice or tone, or even feeling human in your writing, try to write in a way that matches your organic speech and the way you talk naturally. That's how many of us find our written voice. 10. Run a contest or ask your readers for feedback. Lately, I've seen a lot of requests for reader feedback, for topics ranging from new logo designs, to e-book content, to many others. (Peter Shankman, from HARO, recently asked his readers for feedback on a new logo he was launching.) Creating a contest is a great way to get readers involved in your blog and increase interest. If you are running a photo, video, or writing contest, you can use the entries as material and link to the owner or publisher. You can also create new content out of the entries, such as an e-book or a video. I recently posted a "reply" contest inspired by an e-book about blog commenting, by John Chow. So...that's my list for now. If you haven't gotten started yet, now's the time! Anything to add on your quick start ideas?